Before he was renown as a Nobel Peace Prize laureate, Dr. José Ramos-Horta was known internationally as a fiery advocate for the people of Timor-Leste (then known as East Timor) and at the same time, a highly skilled diplomat, negotiator, and peace maker. In exile from his country for the better part of three decades, he had been the international voice of the Timorese population while they struggled to survive as a nation against one of the most brutal regimes of our time. In exile for the entire occupation, José Ramos-Horta worked to build a human rights network to defend the rights of the Timorese — walking the halls of the UN, addressing the security council, and working tirelessly to ensure his people were not forgotten while they suffered. But the story was not over. When the referendum results came in, pro-Indonesia militia who had been put in place across the countryside were unleashed, virtually burning the country to the ground. 85% of the buildings in Timor were set aflame. Hundreds of thousands of people were displaced – at gunpoint – to West Timor and other parts of Indonesia. An unknown number, including foreign journalists, and men, women and children taking refuge in Churches, were massacred. 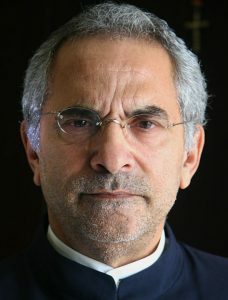 José Ramos-Horta returned from exile on December 1, 1999. Throngs of Timorese crowded the airport and streets to greet him and celebrate his arrival home. Assuming the post of Senior Minister in the new government, he quickly began work to help build a new democratic government in his country, becoming one of the chief architects of the new country’s government. In 2006, the island of Timor-Leste, still getting on its feet as a young democracy, exploded in new violence, when a group of more than 500 split from the army. Amid burning buildings and gangs rampaging in the streets, the Prime Minister was forced to step down. José Ramos-Horta, at the time Timor-Leste’s Foreign Minister and Senior Minister, was asked to step into the vacant Prime Minister post. At the time the LA Times called him the young democracy’s “last hope”. In May 2007 Ramos-Horta was elected President of Timor-Leste. Assuming the helm of one of the poorest nations in Asia, and a country devastated by conflict, his promise was to serve as the “President of the Poor”. He promised to remain dedicated to eradicating poverty in his country through improved public health and education, and by providing an environment where business can thrive.